If there was anything my daughters found challenging when they married, it would be menu planning. 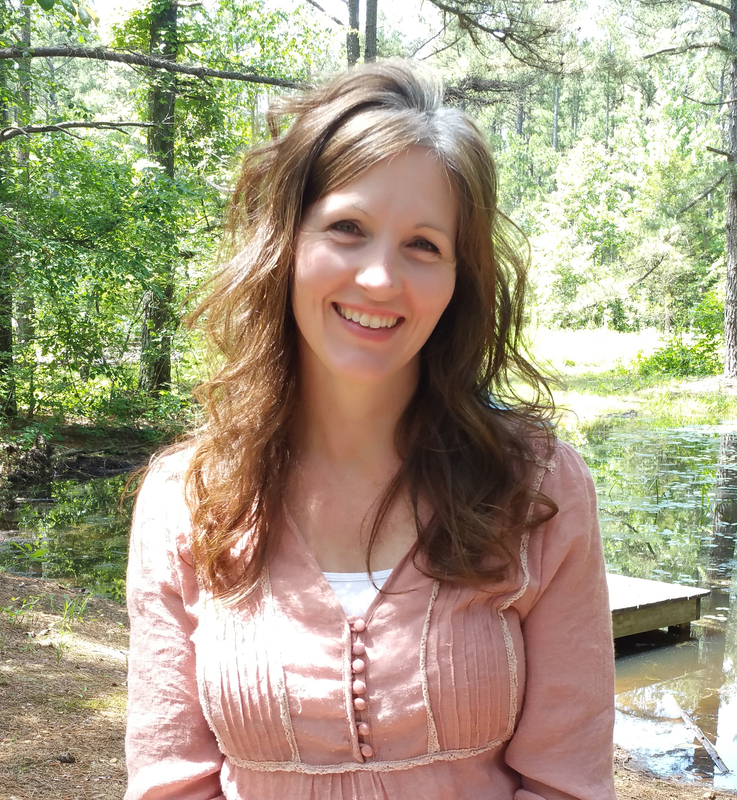 Included with my daughters are hundreds of other Christian wives, (maybe you too?) who find meal planning to be one of the largest struggles they encounter. In this post I’m going to lay out my simple method of weekly meal planning that you can adopt and adjust to fit your own needs, and offer you a resource I created late last year to help you in the kitchen. And yes, it’s something I use in my own home each day. First though I want to mention that there is more to meal planning than just picking out a few dinner ideas and assigning them to a given day. 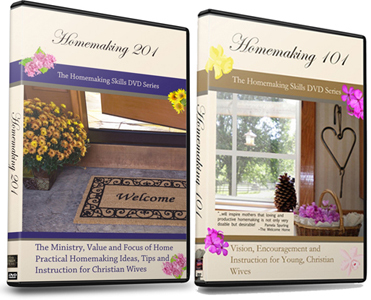 If you’ve been a homemaker for any length of time, you may have observed this role is a vital, multifaceted, developmentally enriching role. One that will keep you busy for a lifetime. Now, if you have a husband that wants something new every night of the week, then your rotation will be monthly. But just in case his tastes have changed or what you thought his preferences were, really aren’t… I would sit down with him and ask what his favorite meals are and which of those he wouldn’t mind having once a week, once every other week, once a month, etc. I did this with my husband, Jason, on January 1st of this year when we wrote out our New Year’s goals. For years I have taken a simple piece of notebook paper and on the top right written out dinner ideas for 7 days. We typically have sandwiches and fruit for lunch, so I skip that. And then write 7 more ideas for breakfast that week. I start with our rotation meals: Friday night pizza, Saturday night hamburgers, and Taco Tuesdays. Now I only need 4 more meals. I like to do something easy on Sundays so I try to plan a slow-cooker/crock-pot meal that day. I might do soup another night. I ask Jason and the kids for suggestions and easily fill up my last 2 days. We do a lot of repeats for breakfast throughout the week, such as egg burritos or eggs and potatoes (or toast) most days. I often do plain yogurt with fruit and honey (we have been used to eating sweetened yogurt, so the fruit and honey make it more palatable) once a week. And then maybe something like cereal, pancakes or muffins on the weekend. Once I have meals planned out, I use the left side of the paper for my grocery list. It’s handy because I am writing down ingredients for the meals I have listed on the right side of the page (taking into consideration ingredients I have on hand) and because I can then take the entire paper to the store when I shop. When I see “heavy cream” on my list and think, “What do I need that for? That’s a little pricey.” I can glance over to the right side of the paper and see “Broccoli Cheddar Soup” and know that I’ve successfully substituted milk before and that I can skip the heavy cream this week and save $2 or so on the grocery bill. Homemaking Tip: Knowing how to cook from scratch, when planning “from scratch” meals, will serve you well while shopping. You’ll know what can and can’t be substituted, etc. If this has been an area of struggle for you, and you plan on following my suggestions above to plan your meals this week, what about the next week and the week after that and the week after that? What about holidays? When company comes over? And what about days that got away from you and a home cooked meal just won’t work? This is where preparedness comes in… for the last three questions anyway. Holiday meals may be typical such as Turkey on Thanksgiving or something grandma always made for Christmas day. I let our children pick their own dinner and breakfast for their birthdays each year. When you have guests coming, start keeping track of meals you enjoy serving (and meals your guests typically enjoy) and it will be that much easier next time. (Yes, the kitchen planner resource I mentioned above has a Favorite Meals page). On those crazy days when cooking dinner means eating a 8 or 9pm this again is where preparedness comes in. In order to avoid McDonalds, etc you must prepare for the crazy days. That means having something on hand that can be put in the oven with no preparation. Two ideas here are, as mentioned, freezer meals and/or pre-cooked meats. A freezer meal is something you prepared days or weeks ago that just needs to be heated, such as lasagna, soup etc. A pre-cooked meat meal is where you have the meat cooked before hand (then canned or frozen) and you can throw it together when needed with pasta, rice or on top of a salad. Easy peasy and fast-food free (wink). Now that you have the mechanics of meal planning and some solid ideas, you may want more than notebook paper to get your kitchen and meals in real order. 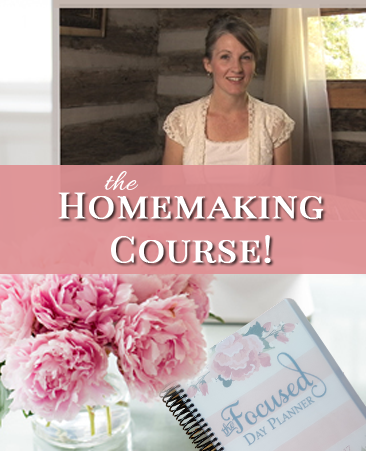 Enter the Homemaker’s Kitchen Planner. The Homemakers Kitchen Planner is the organize your kitchen, be prepared for guests, feed your family well, reach your goals, don’t feel frustrated at 5pm because you don’t know what’s for dinner all in one planner! The planner includes kitchen organizational pages, such as pantry and freezer inventory. It includes meal planning pages such as monthly and weekly menu planning pages, dinner details and shopping lists. It includes reference pages. And pages that will help you with feeding your family healthier meals, trying new recipes, and making hospitality a bit less stressful. And… more. Click the banner below to read the entire description and see sample pages. You will have immediate access to the download, printable version after purchasing. Print out the pages you need as you need them to put in a 3-ring binder, or print the entire 12-month planner. The full 1-year planner is 239 pages and once you purchase, you can print a new planner out year after year! I created this planner to fill a need in my own life. 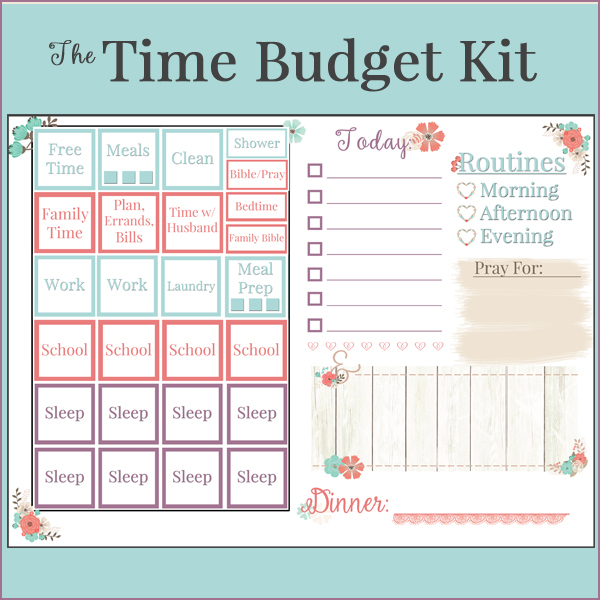 The Focused Day planner I created helps with time management and keeping my days in order, but it lacked in helping out in the kitchen. I needed something where I could keep track, long term, of favorite family meals, a place where I could keep a running shopping list (that wouldn’t fall off the fridge and get lost), a place to write down what foods we should eat more of and what we should stay away from (sugar anyone? ), and a place where I could write out a monthly menu, weekly menu and a page to add details to that week’s dinners. This is that planner. I do pray it’s a blessing to you! Encourage one another! Pin and share if this post encouraged you!